Summer heat is nothing to joke about: Without proper sunscreen, you can get seriously burnt, and the results won't be pretty. The trouble is, most sunscreens contain worrisome ingredients that I no longer feel comfortable putting on my skin. In fact, according to the Environmental Working Group (EWG), "sunscreen ingredients absorb into the blood, and some have toxic effects. Some release skin-damaging free radicals in sunlight, some act like estrogen and disrupt hormones, and several can cause allergic reactions and skin irritation. The FDA has not established rigorous safety standards for sunscreen ingredients". Scary, right? Worse yet, sunscreens haven't been regulated since 1978 in the USA, and the SPF factor only tells you how effective a sunscreen is against UVB rays which can cause sunburn. What it doesn't tell you is how dangerous the ingredients in the sunscreen really are. According to a study in Environmental Science Technology, common sunscreen ingredients such as oxybenzone, methoxycinnamate, and PABA are estrogenic chemicals linked to cancer. Just what you need, right? Wrong. I refuse to subject my skin to any of those ingredients, including any other possible chemicals. That's where Farmstead Naturals comes in. While on a quest to find an all-natural sunscreen, I also took into account how most sunscreens are packaged in plastic. 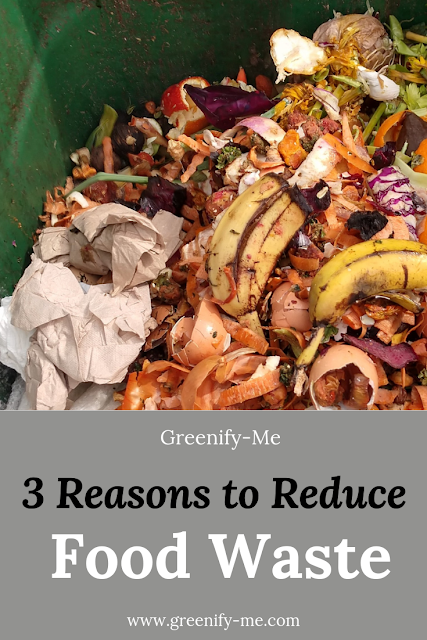 After learning about the zero waste movement, I've been trying to reduce my plastic footprint on this earth, so looking for a natural, zero waste sunscreen became a priority. 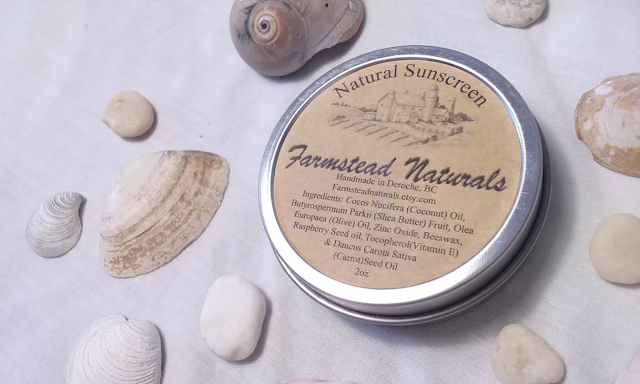 Luckily, Farmstead Naturals shares similar ethics and packages their sunscreen in a reusable tin. Not to mention all the ingredients in it are super safe and totally natural (think shea butter, coconut oil, etc). Believe it or not, this sunscreen has an SPF of 25+, which works perfectly since most higher SPFs are misused (or don't actually work) anyway. But while this sunscreen seems to be absolutely perfect, there was one issue I was concerned about: Would it actually work? Would it prevent me from burning, like conventional sunscreens are said to do? How would my skin react to it? There was only one thing left to do: Try it out. Want to see what I thought? Read my review of this unconventional sunscreen below. Why you want it: This all-natural sunscreen is super moisturizing (it almost feels like you're applying a lotion instead of a sunscreen), while simultaneously keeping skin protected. My review: I know it can be scary to tamper with certain skincare products (especially sunscreen), but I just had to give this a try. I wanted to stop using chemical-filled sunscreen and reduce the amount of plastic in the environment. Not to mention I love supporting small businesses (and this is a woman-run Etsy business, so more power to it!). 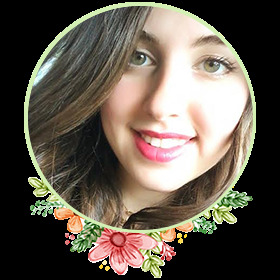 The founder of Farmstead Naturals is Crystal Ferenczi: She's a farm wife and a mother who lives in Deroche, Canada. She loves creating all-natural products for babies, moms, and everyone in between (aka, me). When I found out she made zero waste, all-natural sunscreen I just knew I had to try it out for myself. 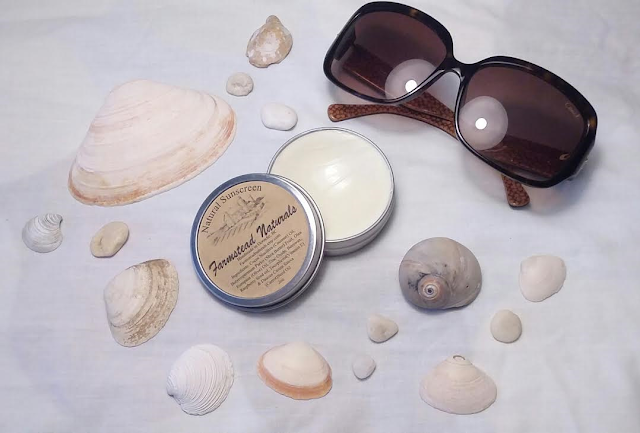 This sunscreen is made using coconut oil, shea butter, olive oil, raspberry seed oil, vitamin e oil, carrot seed oil, zinc oxide, and beeswax. Unfortunately it's not vegan, but I still prefer this to a chemical alternative. According to Crystal, the organic shea butter and coconut oil in this product are used as a base, and each have a natural SPF of 5-10. She also added non-nano organic zinc oxide powder (which won't get into the pores or bloodstream) for a natural SPF protection of around 25+. That's pretty awesome, if you ask me. Personally, I've used SPF 30 sunscreens all my life anyway, so having a sunscreen that's around that SPF sits well with me. While this sunscreen hasn't been evaluated by the FDA, it's important to remember most commercial sunscreens aren't either (similar to how makeup is unregulated by the FDA as well). That's why I was super excited to try this out for myself: That's the only real way I'd tell if it worked or not! Recently, I went up to Pennsylvania for the fourth of July weekend and I brought this with me. We were up there for four days, so I knew it would be the perfect place to test this baby out. Almost every day, I was out and about in the sun, so I knew it would come in handy. The second day up there, we went to the pool, and I knew it would be the ultimate test. I applied some of the sunscreen before we got there (it was super easy). All I did was open the tin, swipe my fingers into the sunscreen, and rub it in on the areas I wanted/needed coverage. I made sure to apply it on my face, arms, shoulders, neck, chest, belly, back, and legs. It applied white, but once I rubbed it in, it became transparent and left no visible residue. Crystal advised me to apply this sparingly to avoid greasiness, so I did. Usually I just needed two swipes of the stuff to cover a particular area. When I was done, my skin felt so nice and smooth (it also had a faint but pleasant smell I couldn't pin down - maybe a mix of coconut and carrot?). After I applied it, we went to the pool and I reapplied it about two more times while there: Once immediately after I got out of the water and dried off, and a second time while I was tanning. I would say I waited about one and a half hours each time before applying more. After we went back inside, I noticed that I certainly did get some color, but no burns! The only place my skin looked a little red was on my face, but that's because I didn't put as much on there as the rest of me. It wasn't painful at all (thought like sunburn usually is) and quickly transitioned into a tan practically the next day (without the flakiness). My skin felt even better and more nourished than before I used this stuff. So just to confirm: It works. It doesn't prevent me from tanning either, it simply protects me from burning, which is great (cause I love to tan, it looks nice). I made sure to apply the least amount to my face, just because my skin is acne-prone and sensitive, but I did make sure it got some sort of coverage. It made me break out a little bit, but nothing I couldn't handle. I prefer that to being burned, that's for sure. By the time I left for home, my skin was even, beautiful, and totally healthy. I highly recommend this luxurious sunscreen to anyone looking for a zero waste, all-natural alternative to conventional sunscreens. Bonus points? : It didn't leak in the bag I was carrying it in (thanks to it being packaged in a tin - instead of a squeezable tube - it was extra secure). Total win! Farmstead Naturals' founder, Crystal Ferenczi was very sweet to work with and quick to ship out my sample! I received it in less than 10 days. 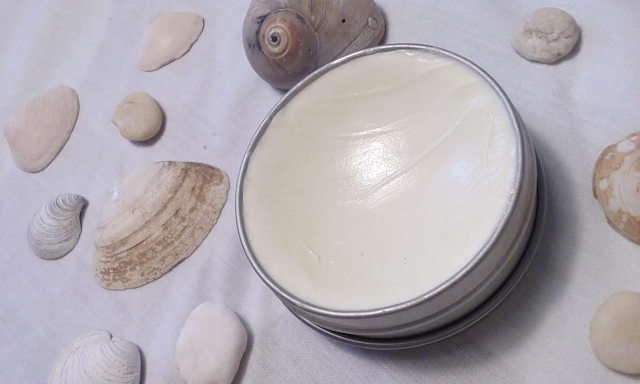 I love how the product is zero waste friendly: It's packed in a reusable tin that totally beats the plastic tubes most sunscreen comes in. I haven't finished using the sunscreen yet - I think it'll last me the rest of the summer! I adore how it's only made from a few, all-natural ingredients you can completely pronounce. The stuff actually works (and I have a nice tan now, instead of an icky sunburn). No fibs here! I can just reuse the tin when I finish the sunscreen (maybe to hold small jewelry), instead of just throwing it out or recycling it. There are so many health benefits to using the ingredients in these products (after all, half of the ingredients used moisturize the skin, instead of intoxicating it). My skin felt absolutely amazing after using the sunscreen - so smooth (and it smelled pretty nice too). It was handmade by a woman owned Etsy shop owner (so I know it was made with lots of love and not by a bunch of mechanical factory hands!). The sunscreen didn't melt/leak in my bag or anything like that (though it did get softer and more lotion-like when it encountered the heat from my hands. But this worked to my advantage and helped me apply it all the easier!). This product is not vegan (sorry all my vegan zero wasters). It came in a plastic shipping bag (but I recycled it, so not too big of a problem). It's not made in the USA, which means it has to travel a little farther to get to me (but it's better than it being made in China, that's for sure). It is a little greasy, so I wouldn't advise putting too much on the face (especially if you're acne-prone like me). Conclusion: I highly recommend trying out Farmstead Naturals' sunscreen. 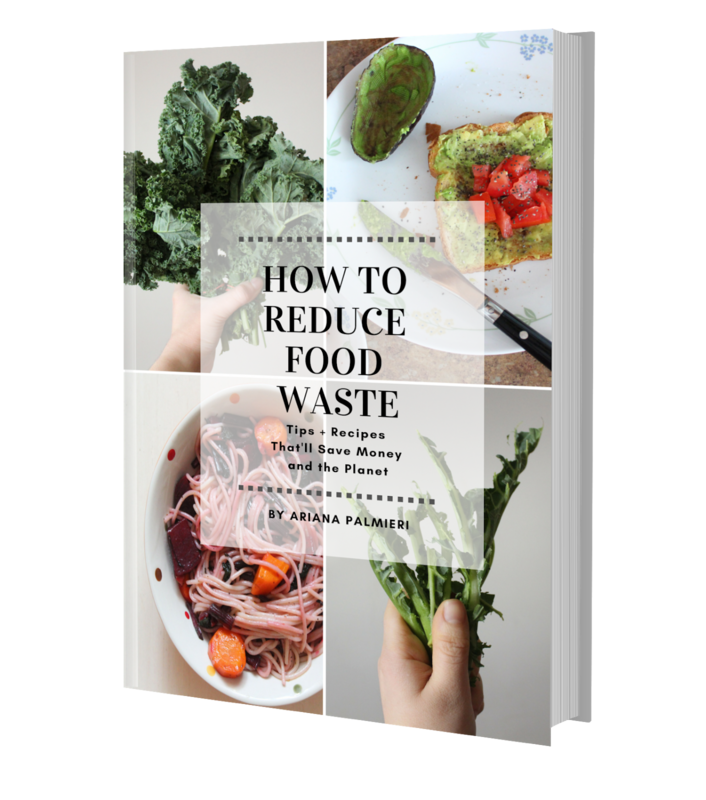 It's all-natural, zero waste friendly, and actually works, so everybody wins. If you live in Canada, this is a great local brand for you to support. If you don't (and you're like me), you should still consider getting it. It will only take a few days to ship and Farmstead Naturals ships worldwide. This sunscreen is white but applies on clear when you rub it in (so no blotchy white spots!). Plus it won't leak in your bag (like most squeezable sunscreens), which is a great bonus. Do the environment (and yourself) a favor by getting your hands on this stuff. I can assure you, you'll be pleasantly surprised by how good it works. If you'd like, feel free to follow Farmstead Naturals on Instagram and Facebook for the latest updates to their brand. Thanks for reading my review! It is definitely recyclable but since every state is different, I would check with the recycling laws of yours. Personally, I just plan on reusing it for something else when it's empty! :) Hope this helped. That is an amazing idea of yours. Who would knew this could be recycled and reused like that!! I will try that myself. I have recently tried safe pregnancy planning and it turned out good.